It took me a while to realize saving money means having access to an infrastructure that provides financial security and the tools to keep track of what you have. In the widely developing landscape of South Africa, these tools can be crucial to growing. However, as a result of many factors driving the socio-economic gaps to widen, many of the lower income communities live in informal to partially informal settlements without a solid infrastructure to save and manage their finances, many without individual bank accounts. Enter the stokvel. It's essentially an informal system in which members of a community pool their money together. These group savings serve a variety of purposes: some use it because it gives them greater purchasing power, others use it to pay for education, funerals, or celebrations. Given the informal nature, money frequently goes missing. Many people contributing to stokvel are taken advantage of or flat out robbed. There is no real system of management in place, only blind trust in whoever is put in charge of handling the logistics of the individual stokvel. Yethu is a stokvel management app that proves to be a game changer for those who rely on stokvels to save their money. It keeps track of everyone's activities within a stokvel - so members can hold each other accountable. The app is the brainchild of Tuskan Owen-Thomas and Sebastian Daniels, two Business Finance students at The University of Cape Town. During a recent visit to Cape Town, I was invited to check out their offices and have a chat with them about their journey. What did the early steps look like, what were some of the factors that got you invested in pursuing Yethu? Tuskan: UCT Upstarts was a program that kinda pushed us. We really got momentum from it because we had deadlines, generally with ideas at varsity people leave it as a means of procrastinating. We had 6 weeks. Wait... how long? Sebastian: The full program was about 6 months, we were there for the last 3 months. Tuskan: Yeah, 3 months and it really put pressure on us to do the whole thing properly and actually get it running, instead of leaving it till next month and the next month... so that's kinda what catapulted us. Sebastian: It was like an idea accelerator. We accelerated an idea in the concept. Not a business but a concept we could use and that's when we built the first prototype. After we did this big pitch at UCT Upstarts we had about R30,000 ($2242.29) and we built our first prototype. 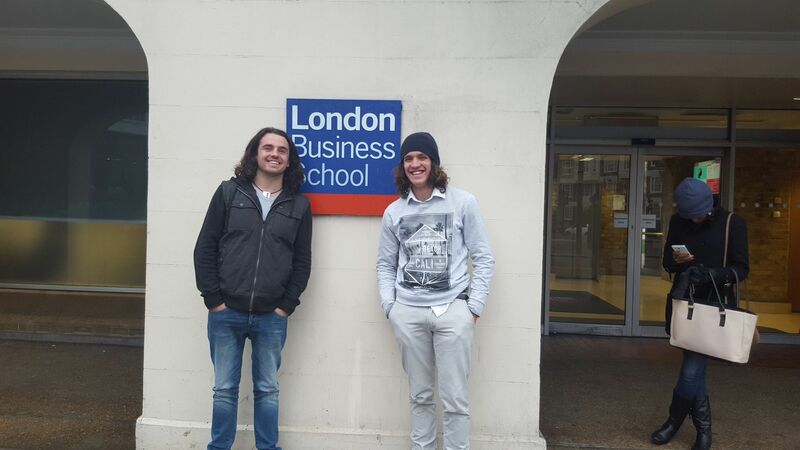 The duo went on to participate in several other competitions including Get In The Ring, Launchlab and a pitch at the London School of Business through Global Social Venture. How did you get such an awesome office? Sebastian: We were both on the committee of the entrepreneur society at UCT and through that, we were asked to go meet with this accelerator (Far Ventures) because they wanted to form some kind of partnership. We ended up just speaking about Yethu the whole time. They wanted us to be involved. We did that quite quickly, within a month, we met them, signed a contract and that's when we first moved into offices and got a full-time developer, which was a big thing at the time because we could increase our development speed. Tuskan: Our first office was originally in Woodstock, it was a smaller space but they grew as well... and now we've recently moved to town (Roeland Street) to a bigger office. Our team has grown from the two of us, to eleven people, we have eleven people now, plus three more coming from Belgium. 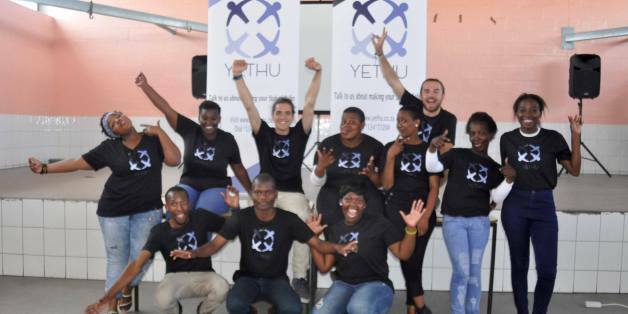 Yethu has a very hands-on approach to development, how do you maintain this process? Tuskan: We spend a lot of time researching what to do, how it works, getting a lot of feedback. We're still learning. Meeting with groups and finding out new things. I think with this market there are so many people trying to get into it, but they trying it from an ivory tower approach. It's an ongoing process. We meet new people, find new issues and then kind of mold the product as we go. It's never really finished. Many members of the community are not in a position where they have a smartphone readily available, where it be too expensive to own, or too dangerous to carry. Yethu has made an interesting choice to develop a service that will work on older phone models too - we don't often see this in tech. Is it the same developer that works on both a working service for older phone models as well as the smartphone app? Tuskan: That is correct and because we have been on a shoestring budget. It hasn't been easy and it's been a big learning curve but for what we've done based on the budget, I think what we've done... it's pretty, pretty amazing - even for him (Gregoire Vilde, the current developer). We're still astonished because he's still learning, himself. If we had a nice budget it would help but it's all part of the startup process, I guess. Sebastian: He's always our MVP. The initial roll-out for Yethu was in Khayelitsha - how has Khayelitsha served as a prominent starting point for your work? Sebastian: Khayelitsha is huge. It's the biggest township in Cape Town by far, it was the second biggest in South Africa, now it's about the fourth biggest in South Africa. It's really, really huge. It makes up probably a quarter of Cape Town. There is a lot of people there and a lot of them have stokvels, so it is the ideal location to host. We are very big on going out into the communities, doing our workshops where people feel comfortable. What are the current Yethu goals? Sebastian: The main focus now, is to get full stokvels on. Our goals is to get between 10 - 20 stokvels on the system (using the app) to really get it strong. 10 - 20 stokvels is roughly 150 - 300 people using our system. We've got enough money to last us awhile, with that amount of people. If we can get that right, get the formula right. We want to take that 10 - 20 to 1000, and then 100,000 so on. So, it's very much making this model work perfectly and then scaling it up very quickly. Tuskan: I think what's important to know is that in South Africa, they (stokvels) generate, on a yearly basis, between 45 to 50 billion rands. Sebastian: That's around 3 - 4 billion dollars, a year, is how much is going into stokvels. Tuskan: So even though that's through, a poorer community - the amount of money that is saved between them is absolutely mind-boggling. It's a big market and it's all over the world, in various countries with various other names. Thank you. This is a very challenging, very exciting journey you're on - is there anything you'd like to say - a particular note you'd like to end on? Sebastian: Little did we know, it's not that easy. It's been one of the tougher things I've had to do, far tougher than a degree. It's gotten to that point where we doing Yethu and a degree on the side... a full-time degree... on the side. So it's been a learning curve but everything we do, we think wow, this is amazing - and whenever we go out to communities, and people see this and think wow, this is amazing - it's so rewarding because that's what we want to do, that's why we started this. We want to change lives. We want to improve people's savings and returns. We want them to work up the ladder. You want people to work up a ladder and then their money gets stolen and they end up right back where they started. Tuskan: Because it's such a unique market, it's not like you can just put something up online and it either flies or it doesn't. It's been a lot of real hard grinding and trying to figure out how to integrate tech with a newer market - and during those hard times when we'd think 'what are we doing!?' then you go back to the ground and you talk to people and you see what a difference it can actually make and people actually want to engage with it, that what gives you the motivation to continue and really make a plan. Click here to visit Yethu's official site. Rohil Aniruth is a writer, filmmaker and designer based in New York. 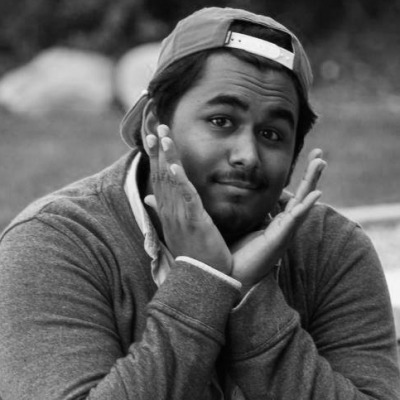 He writes for a few popular spots online and studies Design & Technology at Parsons.